In the post for my Birthday Girls Just Want to Have Fun I’ve mentioned that I treated myself to the bottle of a perfume from Guerlain (I wonder if it’ll become a yearly tradition) and asked you to try guessing which one. 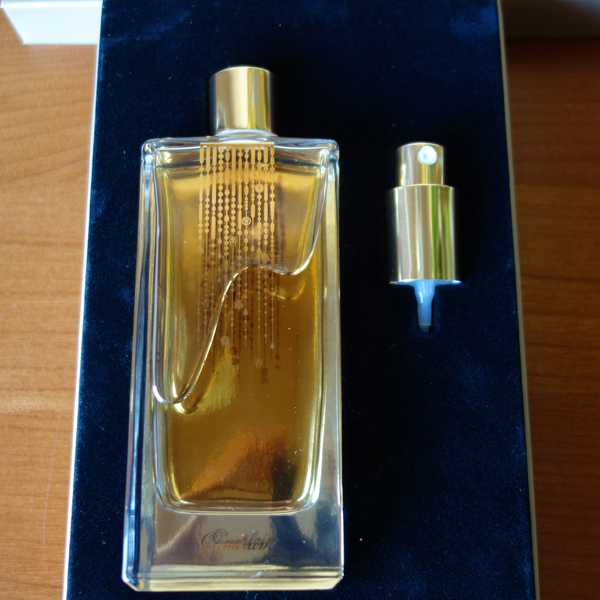 There were sixteen guesses and Susan (Fine Fragrants) got it right: my new Guerlain perfume is Encens Mythique d’Orient from Les Déserts d’Orient collection. 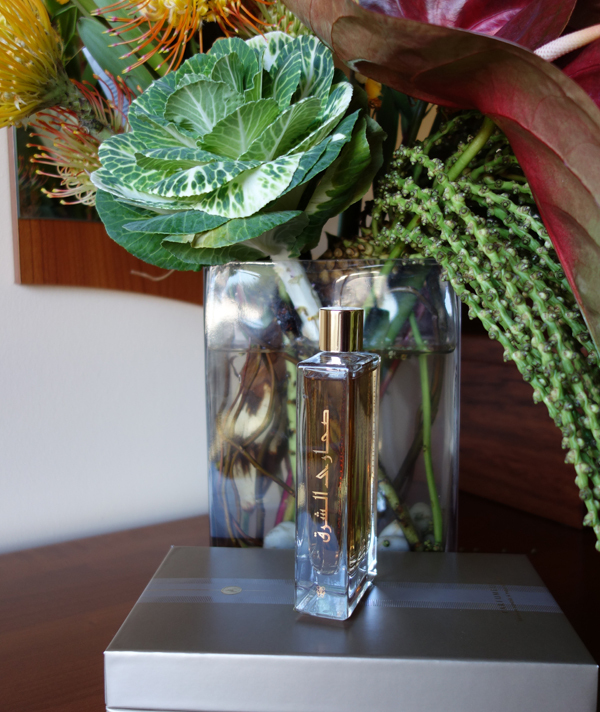 Susan will be getting a 3 ml sample of Encens Mythique d’Orient to help her through the waiting for her own bottle. When last year I read about that new collection being released, not being a real Guerlain fan girl (yet? ), I wasn’t too excited: one more limited distribution offering that I didn’t want to chase. Then I read a review of all three perfumes at Olfactoria’s Travels and though it was very nice and … polite – the way most Birgit’s reviews are – it didn’t conjure any lemmings: most likely because B. didn’t love any of them and, once again, because of the limited availability. And then I decided to break my last year’s NY resolution of not buying samples until I test most of those that I’d previously accumulated and bought 2.5 ml samples of all three perfumes in the collection. Encens Mythique d’Orient was love at the first sniff. I haven’t read a single raving review for it (there were many positive though – not sure if reviewers really liked it or were just loyal to a favorite brand). My friend at work really disliked it; her comment was: “It smells like a men’s perfume counter at Macy’s” (so no wearing of it to the office). I tried to negotiate with myself getting a decant first… But a decant bottle wouldn’t be a nice birthday present, would it? I’ll make another 2 ml spray sample to give away to one of my readers anywhere in the world (though nobody knows what might happen to it with the international shipping) – to try if you haven’t tried it yet/want to re-try or to use if you liked it but not enough to go for a bottle – just tell me what you think. I’ll use some type of random selection after closing the draw on Wednesday, February 20, 2013, at 11:59 p.m. PST. If you don’t want to be in the draw, tell me anyway if you liked Encens Mythique d’Orient, disliked it or felt indifferent – I’m curious. 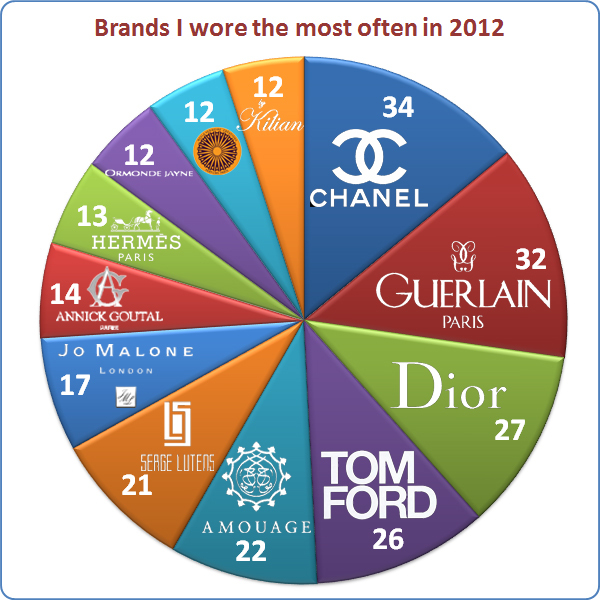 Wearing and testing perfumes every day and getting monthly statistics numbers create some general feeling about where you stand on your likes and dislikes but nothing puts it into prospective better than the complete year data. As I was contemplating this post I was both excited and scared: what would I discover about myself when I compile all the results? 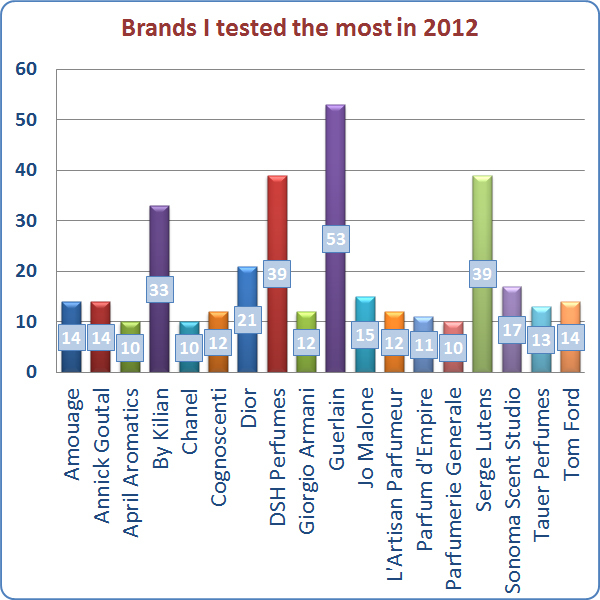 In 2012 I wore and tested more perfumes than in 2011: 414 vs. 376 perfumes from 119 vs. 110 brands. But since starting from December 2011 I was recording the type of use – wear1 vs. testing2 I’m able to get deeper into from where those numbers come. I wear perfumes I like and own almost every day. Perfumes I reached for the most in 2012 (with times worn): Dior New Look 1947 (11), Chanel №19# EdT & parfum (10), Chanel Cuir de Russie (8), Guerlain Cruel Gardénia (8), Antonia’s Flowers Tiempe Passate (7), Tauer Perfumes Une Rose Vermeille# (7), Yosh Ginger Ciao (7), Hermès Voyage d’Hermès (6), Les Parfums de Rosine Rose d’Amour (6), Tom Ford Violet Blonde (6), Chanel Bois des Iles (5), Guerlain Encens Mythique d’Orient (5), Lancome Climat (5), Neela Vermeire Creations Bombay Bling! (5), Parfum d’Empire Ambre Russe (5), Tom Ford Amber Absolute (5). In the Weekly Roundup series this year I mentioned 46 perfumes I was looking forward to testing. I still haven’t tried 19 of those (5 haven’t been released yet). My most cherished lemmings are: Ann Gerard Perle de Mousse, Ramón Monegal Impossible Iris, Parfumerie Generale L’Ombre Fauve and Armaini Privé Cuir Noir. I’m still trying to avoid paying for samples so if you have any extras for those mentioned above – let’s swap! Out of those 27 lemmings that I managed to try I liked 15 and thought that the rest were fine – so no big disappointments. Speaking of disappointments, I was surprised to read on many blogs that 2012 wasn’t a good year perfume-wise for many perfumistas. My feeling was that there were many perfumes that I liked. I went through the list of perfumes from 2012 (only those that I’ve tried, not all 1,300+). I liked very much at least 25 perfumes released last year: Amouage Beloved and Opus VI; Annick Goutal Nuit Étoilée; By Kilian Amber Oud, Bamboo Harmony, Forbidden Games and In the City of Sin; Cognoscenti Scent No.16 – Tomato Leather and Scent No.19 – Warm Carrot; Dior Grand Bal; Diptyque Volutes; DSH Perfumes Euphorisme d’Opium, Ma Plus Belle Histoire d’Amour and The Beat Look; Guerlain Encens Mythique d’Orient and Myrrhe et Délires; Ineke Hothouse Flower; Jo Malone Blackberry & Bay and White Lilac & Rhubarb; Jul et Mad Amour de Palazzo; L’Artisan Parfumeur Seville a l’aube; Parfums MDCI Chypre Palatin; Serge Lutens Santal Majuscule; Six Scents Napa Noir and Tom Ford Ombre de Hyacinth. I have four full bottles and seven decants to show for these “likes” and I’m considering several more. Another 15 were not bad; I just didn’t love them. I’ve done two full years of these monthly stats posts. 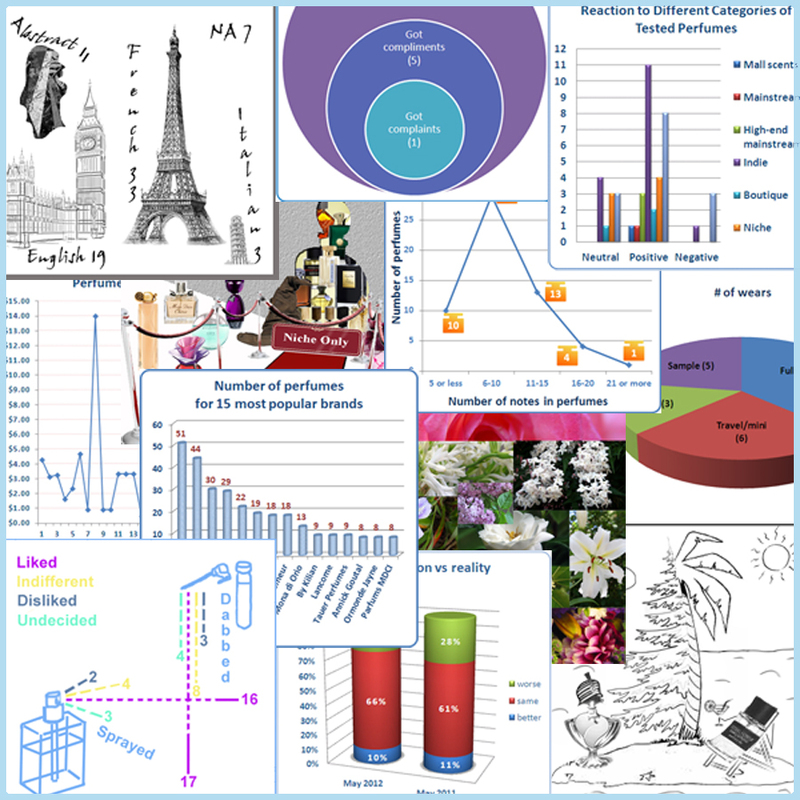 I wonder if I can still find an interesting angle of analyzing data I collect. We’ll see. # These were in the Top 10 of 2011 as well.